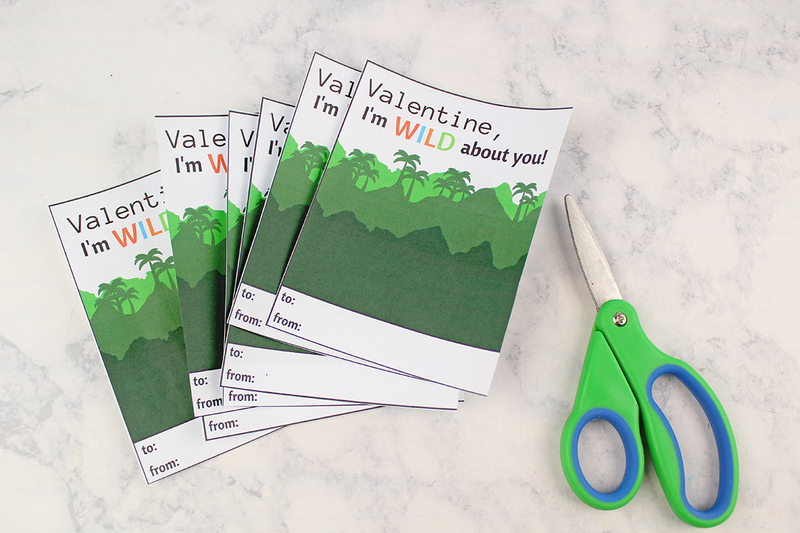 These Wild About You Valentine’s Day Cards are wildly adorable! I always have to plan ahead for Valentine’s Day with the kids as Steve and I are usually on vacation, and this year is no exception! We fly out to Mexico very early on Valentine’s Day so we won’t be home when the girls get up. I picked up gifts for each of them that I will leave out before I head to the airport that morning so they will have a surprise when they wake up. I also will be making a batch of my Sweetheart Rice Krispies Treats for them too! Since I won’t be home and this is Bella’s first school Valentine’s Day I have been busy prepping fun cards for her to give out to her class. 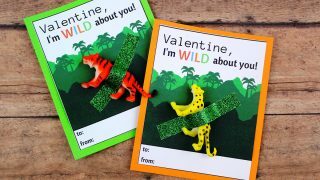 This Wild About You Valentine’s Day Card DIY is the perfect non-candy option for younger children to hand out to their friends on Valentine’s Day. 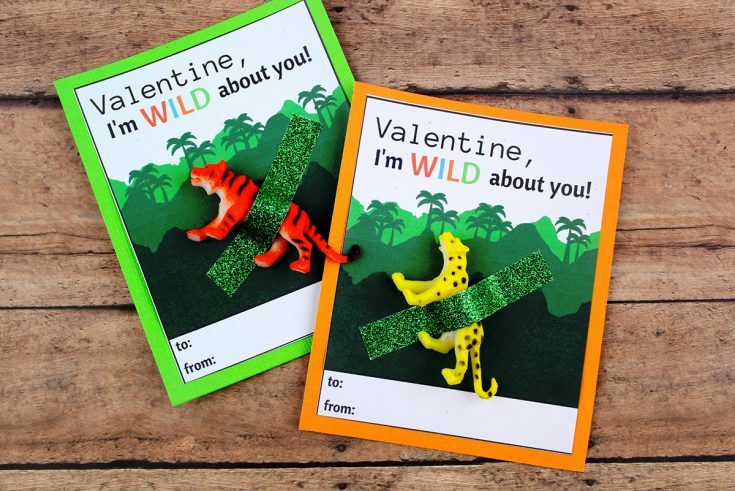 The kids will enjoy helping make something special for their friends, and what little one wouldn’t like a new wild animal to play with! 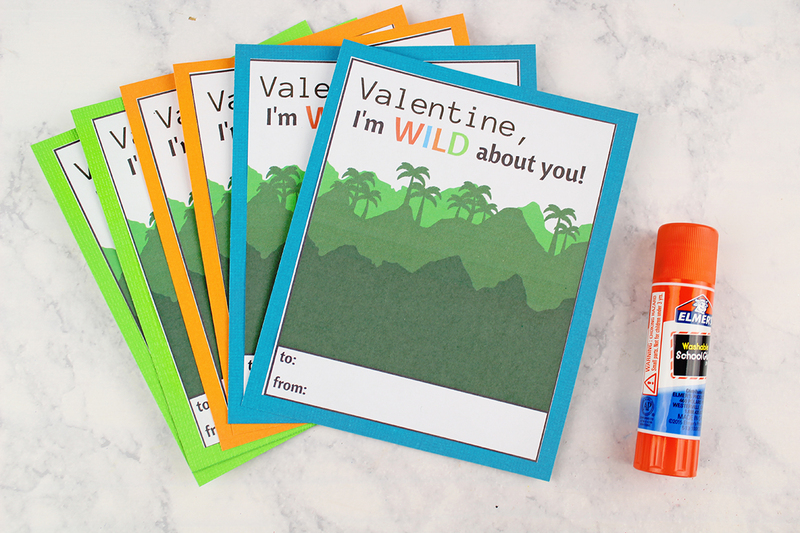 Follow along with the step-by-step instructions below, then print off the DIY supply list and instructions to make your Wild About You Valentine’s Day Cards! 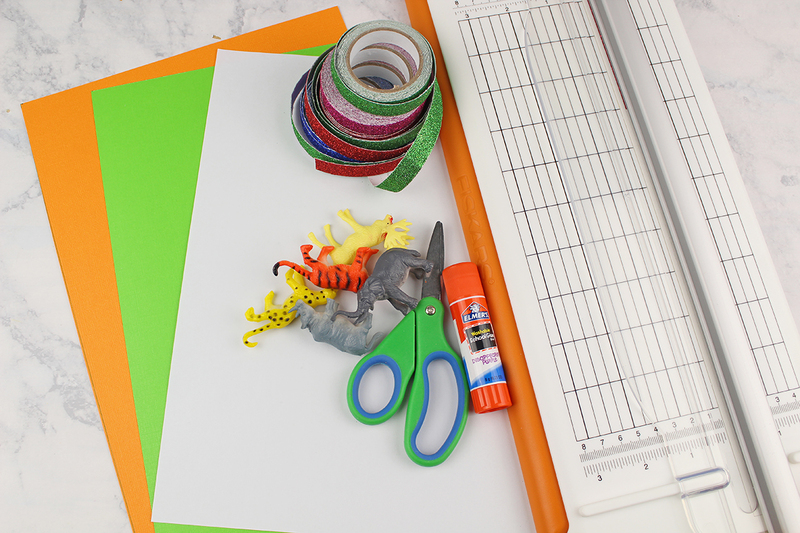 Gather your supplies you will need to make your cards. Print the Valentine’s Day cards use portrait mode in your printer settings. Carefully cut out each card. 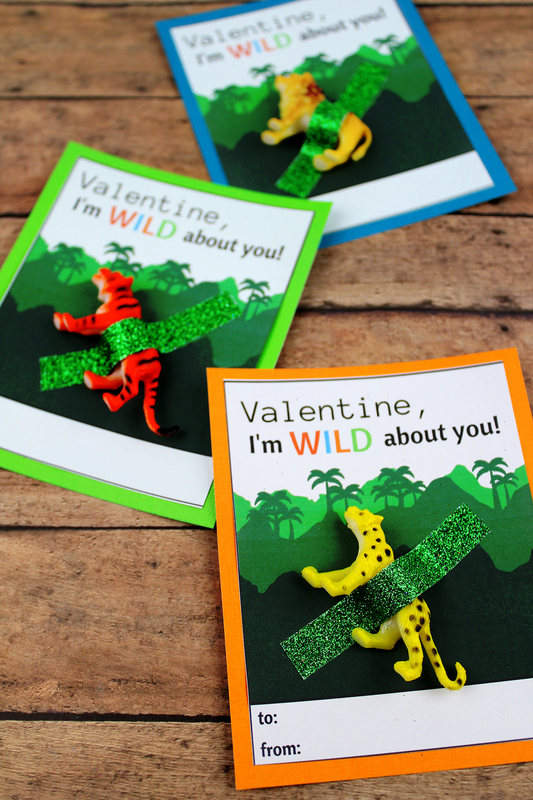 Cut colourful cardstock slightly larger than the Valentine’s Day card. 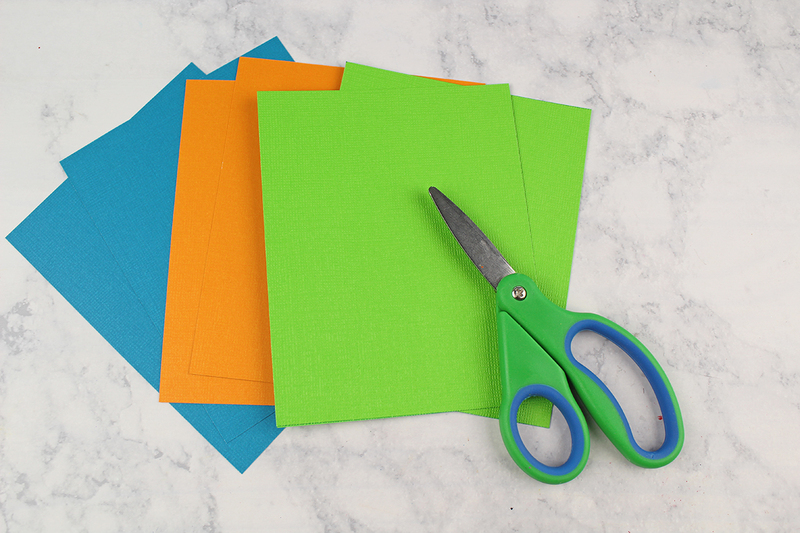 Glue the cards to the cardstock. Allow to dry completely. Use glitter tape or washi tape to attach a mini rubber duck to each card. 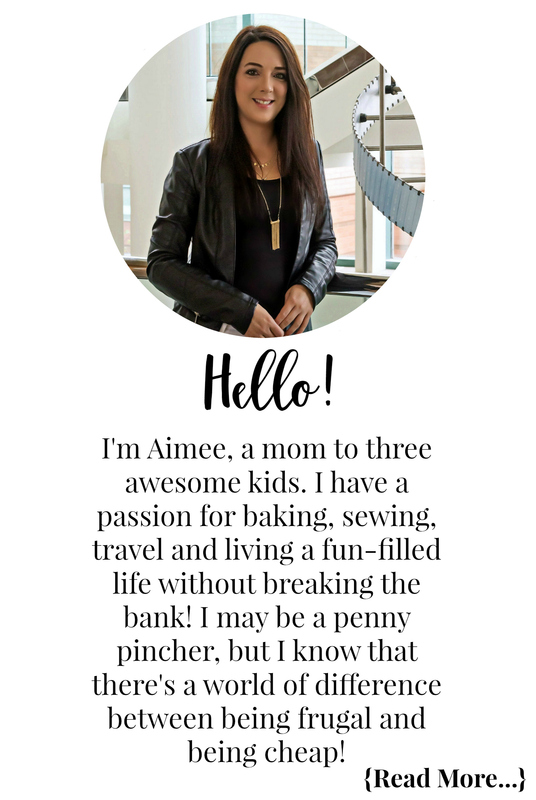 Your cards are ready for your little one to hand out to their friends at school or daycare! 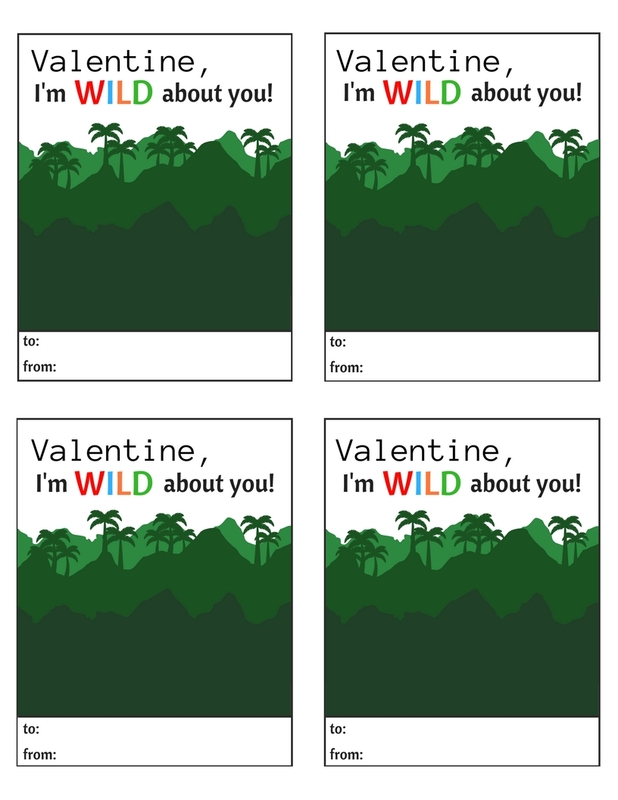 Print the Valentine’s Day cards – be sure to print in portrait mode. 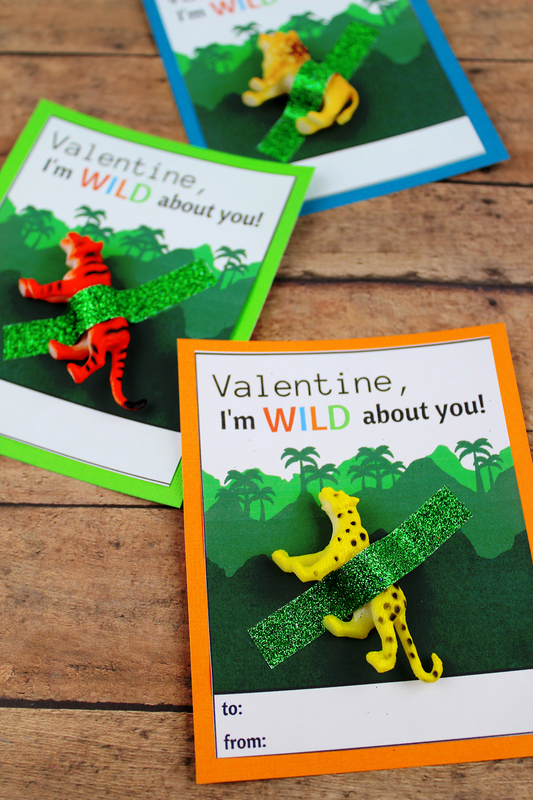 Use glitter tape or washi tape to attach a mini wild animal to each card. Don’t forget to check out my Lucky Duck You Printable Valentine’s Day Cards and the Butterfly Valentine’s Day Treat Bag DIY too!